Drew's brandy-color 'Toledo' tie shoe is a flexible opanka casual made with the Plus Fitting System’s two removable footbeds, enabling you to customize fit or accommodate custom orthotics. 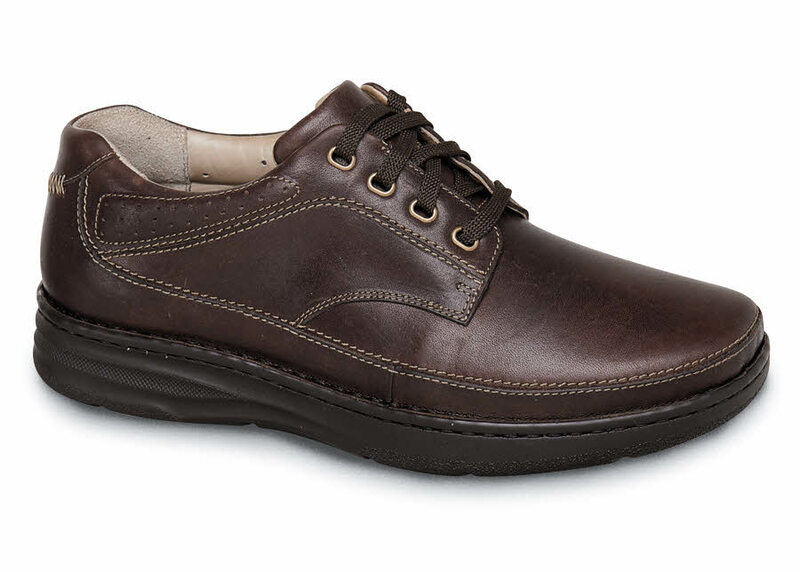 The leather uppers have leather quarter linings and soft foam-padded tongue and collar. 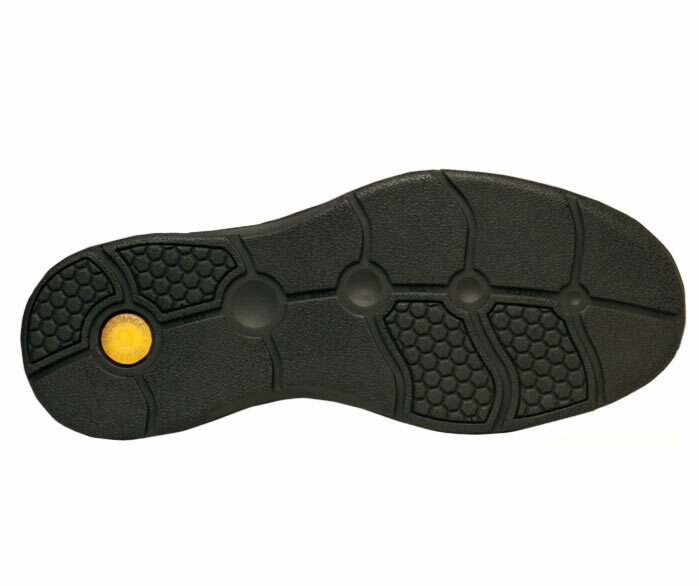 Lightweight polyurethane outsole with wide steel shank for stability. Men's sizes 7–12, 13, 14,15 and 16 in 4E and 6E.